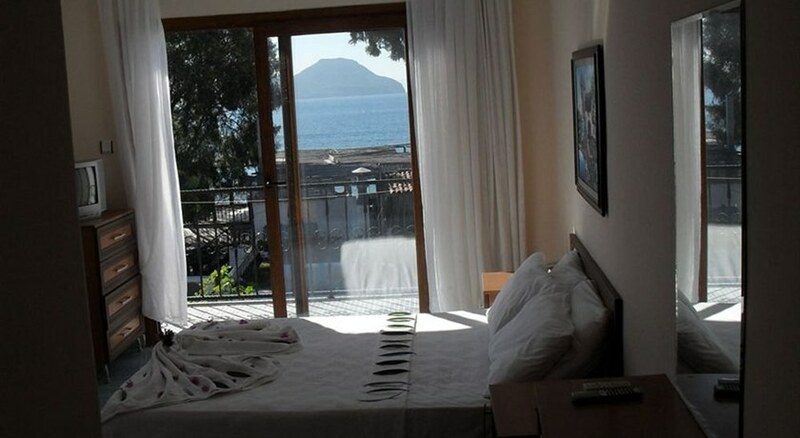 Blue Bodrum Beach hotel is a charming property set right on the beach front. Guests are able to try their hand at the many watersports on offer or laze by the pool, which is set into beautiful gardens, draped with flowers. 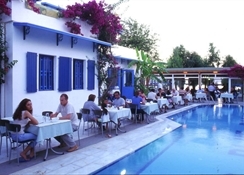 The hotel has a restaurant with both indoor and outdoor seating and a bar for cool drinks. For children there is a playground and section of the pool. This hotel is perfect for anyone looking for a relaxing beach holiday in gorgeous surroundings.The rooms are nicely decorated and come with modern amenities: TV, A/C, telephone, hairdryer and private bathrooms with shower.